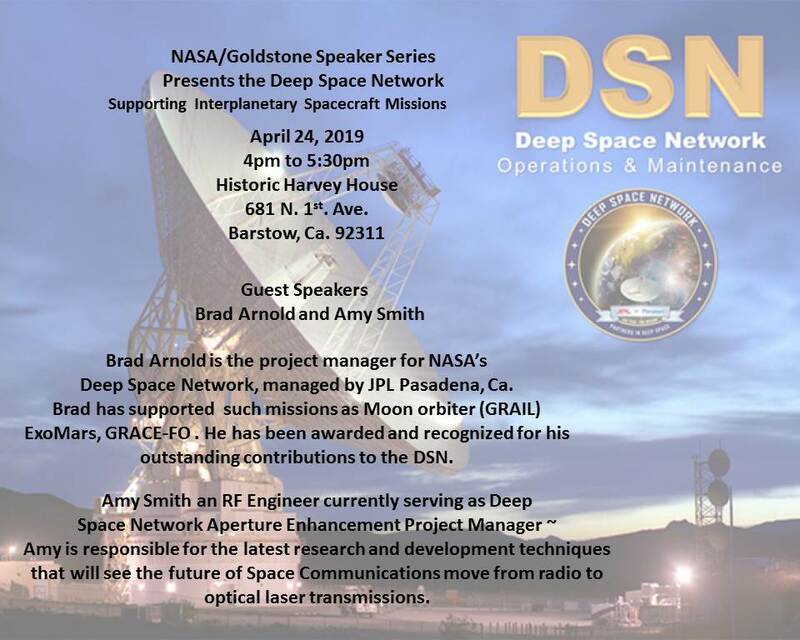 Goldstone is one of three complexes around the world known as the Deep Space Network (DSN) established to provide the ability to communicate with spacecraft; not only in orbit around the earth, but also in the farther reaches of our solar system. The Deep Space Network complexes, placed 120° apart, provide constant communication with spacecraft as the Earth rotates.In determining the exact position for the site in California, a remote location, free from radio signal interference, was needed. The remote location of the Mojave Desert in California, near the old mining town of Goldstone, was determined to be an optimal location and in 1958 the first antenna was built. Facilities near Madrid, Spain and Canberra, Australia complete the Deep Space Network providing 360 degree coverage for spacecraft tracking. 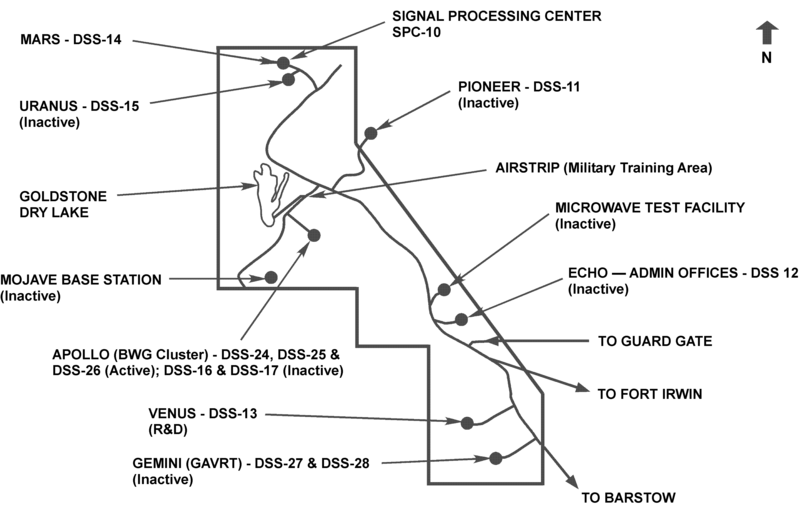 For over half a century the Goldstone Deep Space Communications Complex (GDSCC) has provided a vital communications link for NASA/JPL manned and unmanned spacecraft. Fifty years of space exploration has seen many milestones in both robotic and manned spacecraft. From the first planetary encounters, the first human landing on the moon, to missions that reach the farthest points in our solar system, the Goldstone Deep Space Communications Complex has been there to bring home the critical data, images, or science. 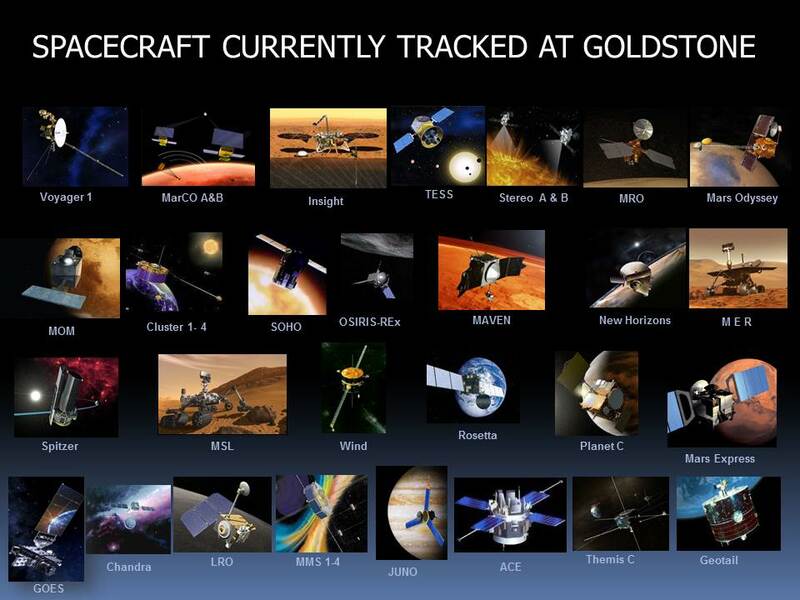 As missions meet new milestones in the 21st century, the Goldstone Deep Space Communications Complex as part of the Deep Space Network will continue to meet NASA’s vision for space exploration.